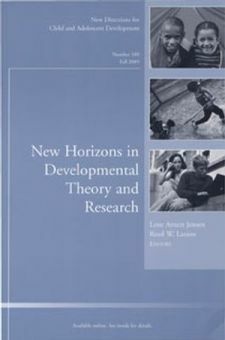 The British Journal of Developmental Psychology publishes innovative, ground-breaking work in many different areas of developmental psychology. Full-length, empirical, conceptual, review and discussion papers, as well as brief reports are welcomed. The journal is one of the Journals of the British Psychological Society which is Europe’s largest Society journals publisher in psychology. Culture and Psychology is the leading international journal in the area of cultural Psychology. It brings together scholars from approximately 30 countries to focus on the links between theory and empirical evidence on the cultural organization of human lives. It is an interdisciplinary journal with emphases on anthropology, sociology and history, as well as Psychology. For more information, email cultpsy@clarku.edu. Valsiner is also the founding editor of International Journal of Idiographic Science and chief editor of Integrative Psychological and Behavioral Science. 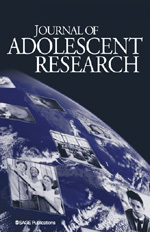 For over 20 years, the Journal of Adolescent Research (JAR) has been the must-read publication for all academics, practitioners, policy-makers, and journalists interested in a global perspective (not just North America) on adolescence (ages 10-18) and emerging adulthood (ages 18-25). Articles are emphasized that combine both quantitative and qualitative methods, use a systematic qualitative or ethnographic approach, break new theoretical ground, or use a new methodological approach. The Journal of Adolescent Research also includes book reviews, and a new column called "Editorial Essays," in which a prominent scholar will discuss an important issue in a looser format than the rest of the journal (opinion pieces, commentary, and wit & wisdom). Every informative issue of JAR includes original, theoretical and research articles on topics such as sexual behavior, perceptions of adulthood, drug and alcohol abuse, environmental contexts, educational issues, ethnic identity, and resilience. The Journal of Latina/o Psychology is committed to publishing scholarly writing on research, practice, advocacy, education, and policy relevant to Latino communities. The journal publishes empirical, theoretical, methodological, and applied research. We are particularly interested in manuscripts that contribute to knowledge of Latina/o psychology through research, methodological innovation, and inquiry; develop and advance theories pertinent to Latinas and Latinos; promote education and training of psychologists to work with Latinas and Latinos; address issues of social justice and advocacy in Latina/o communities; promote the application of research and training to advancement of policy related to Latino individuals and communities; and use quantitative, qualitative, or mixed method approaches. The Journal of Social and Political Psychology (JSPP) is a peer-reviewed open-access journal (without author fees). It publishes articles at the intersection of social and political psychology from different epistemological, methodological, theoretical, and cultural perspectives and from different regions across the globe that substantially advance the understanding of social problems, their reduction, and the promotion of social justice. Narrative Inquiry is devoted to providing a forum for theoretical, empirical and methodological work on narrative. Michael G. W. Bamberg is also the Book Series Editor for Studies in Narrative (John Benjamins). The mission of New Directions for Child and Adolescent Development is to provide scientific and scholarly presentations on cutting edge issues and concepts in the field of child and adolescent development. Each volume focuses on a specific new direction or research topic, and is edited by an expert or experts on that topic. Any topic in the domain of child and adolescent development can be the focus of a volume. Topics can include social, cognitive, educational, emotional, biological, and socio-cultural issues that bear on children and youth, as well as issues in research methodology and other domains. Topics that bridge across areas are encouraged, as well as those that are international in focus or deal with under-represented groups. Volumes deal with infancy, childhood, adolescence, emerging adulthood, or bridge across these age periods; or occasionally stretch into adulthood. Contributors aim to integrate social and cognitive development research on the developing child within his/her environment. In the present context, "social" and "cognitive" development are not two separate or haphazardly intermingled domains, but are united into one: all cognitive development is social in its nature (as it is guided, although not determined, by the cultural environment), and all social development involves psychological processes that are cognitive in their nature.